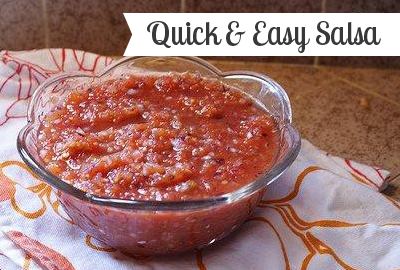 This is one of the easiest and tastiest salsa recipes you’ll ever come across! The fact that it comes from a can means you can have it all year round! Serve with your favorite chips and mexican foods - I love this on fresh tortillas with butter! Post Sponsored by “Cans get you Cooking”, in an effort to show how versatile canned foods CAN be. You can learn more about cans on the Cans Get You Cooking Facebook page, Pinterest page & YouTube channel.